Capri proudly introduces the new Director of Education; Allison VanDerMolen. Ms. Allison's long history with the college spans 21 years from student through Pogram Manager. Her impressive resume includes years of salon and classroom experience, management, NACCAS Accreditation preparation, Pivot Point LAB administration, and curriculum development for both Cosmetology and Instructor Programs. 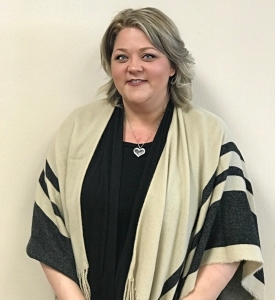 In her new role, Allison will direct and shape the curricula and teaching process in addition to providing advice to teachers, school administrators and support staff. Congratulations Ms.Allison. Balancing family, work and education just got easier and more affordable with an additional schedule option at a reduced tuition rate. For a limited time, the Oak Forest campus is offering the new schedule at $2,000.00 under the 2019 standard tuition rate. Wed. & Thur. 1:00 p.m. –8:00 p.m.
Saturday 8:30 a.m. –4:30 p.m. Introductory Offer available to every eligible new student that starts in January, March or April 2019 and remains enrolled in the Cosmetology PT 3-day schedule for one academic year. No other discounts /institutional scholarships apply. Contact an Admission Representative for further details. 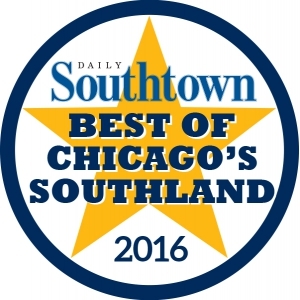 Once again, Capri Beauty College was voted Best Beauty College by our community. Our mission is to provide excellence in education to our student and quality service to our clients. 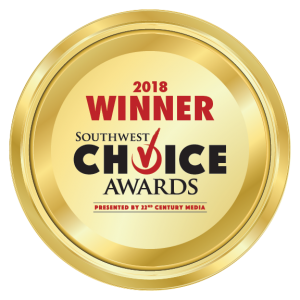 Thank you to all who voted Capri the best! 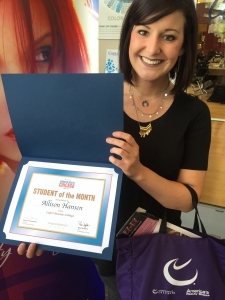 Congratulations to Allison Hansen, Cosmetologist Chicago Student of the Month. Alli attends the New Lenox campus and is interning at Lisa Thomas Salon. She has achieved a Master Designer, Level 5 status, has over 200 clients and 100+ color services during her program at Capri. Alli is naturally professional with everyone she meets and we are so proud of her success. 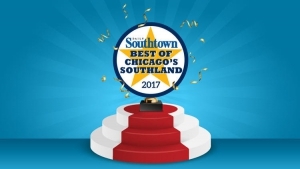 Representatives from the Daily Southtown presented Capri Beauty College with a plaque and banner in honor of be voted the 2015 Best Beauty School. Capri administration attributes the recognition to the talented students, dedicated faculty and loyal clients that have been a part of Capri's history for over 55 years. Pedicures offer many benefits. Not only do Pedicures help keep feet looking pretty, they also keep nails trimmed, calluses controlled and skin moisturized. In addition, a foot massage helps to relieve tension and stimulate circulation. Treat yourself to a Capri pedicure available in our student salon and spa for the cheep and cheerful price of only $15.00! 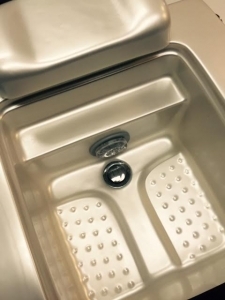 Pictured; pearl pedicure bath with auto drain - Oak Forest Campus. 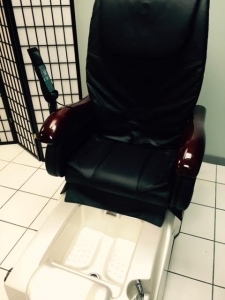 Pictured; Oak Forest pedicure throne.